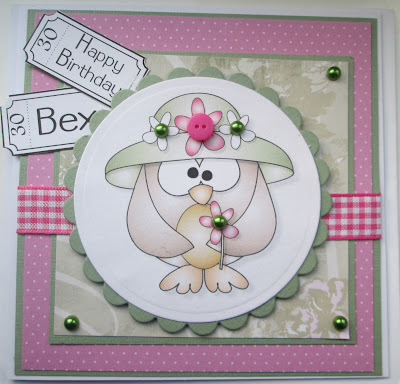 one happy little crafter: The gorgeous owly one! 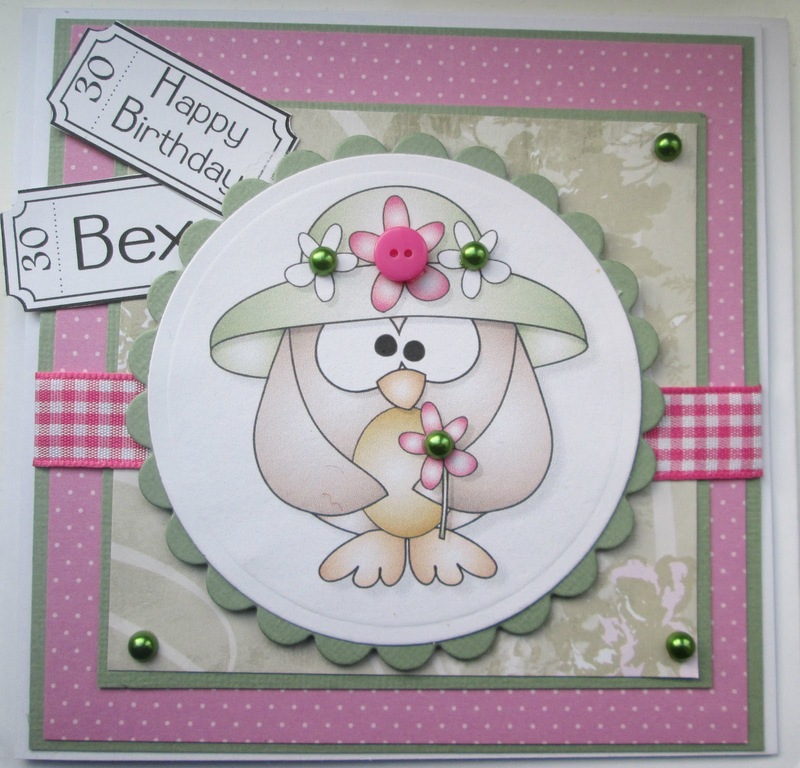 Image from Pink Gem (pre-coloured), cut out with Go Kreate dies. Papers, Pink dotty one is from a Me to You stack and the greeny one is from Paper Cellar. Sentiment tickets are my own creations. This is gorgeous Lisa. I love that owl too and the papers and layout are fabulous.